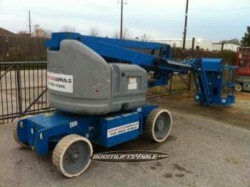 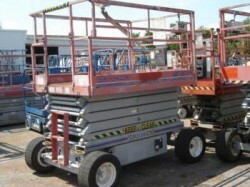 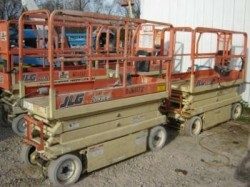 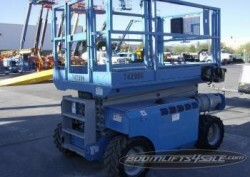 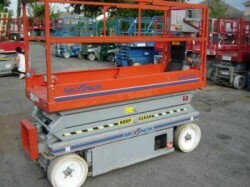 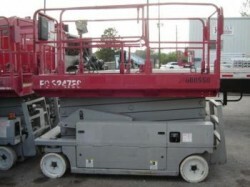 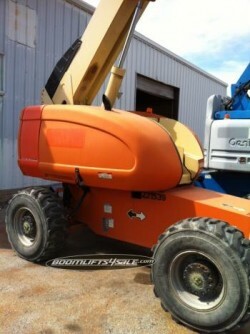 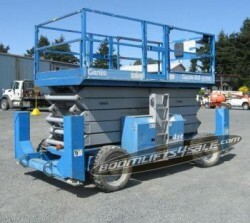 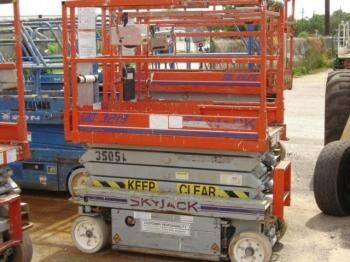 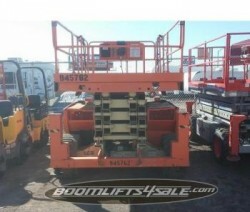 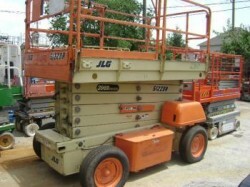 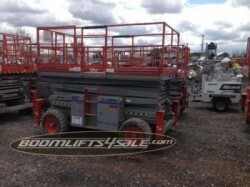 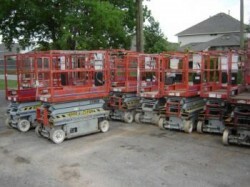 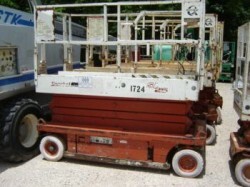 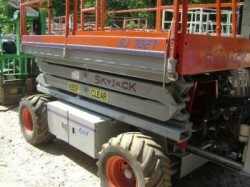 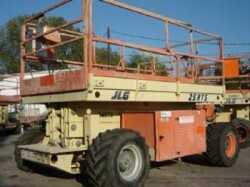 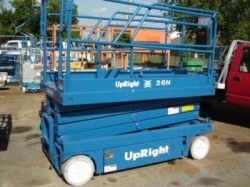 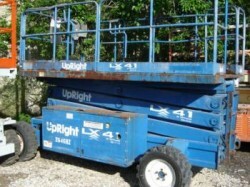 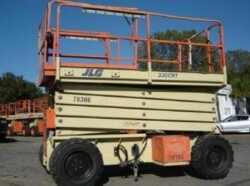 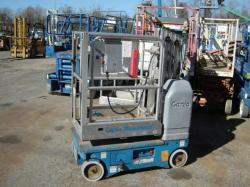 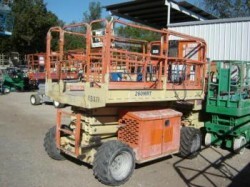 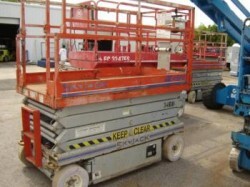 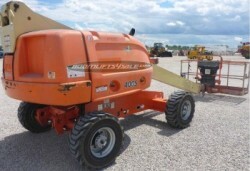 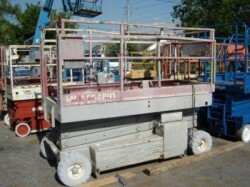 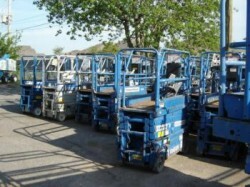 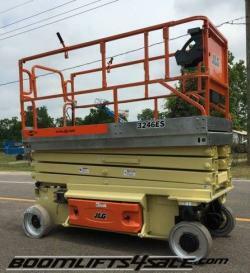 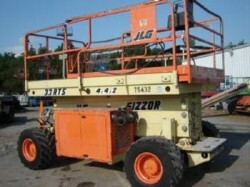 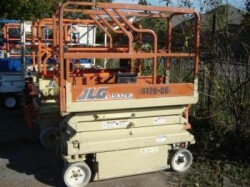 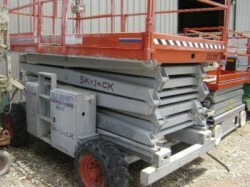 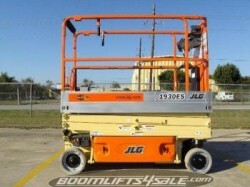 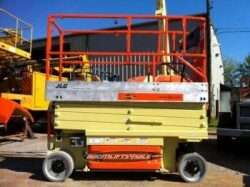 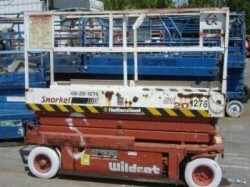 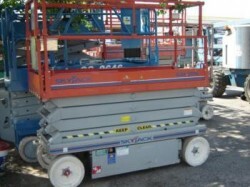 Options:Skyjack 3219, 3220, 3226, 4626, 4632 electric scissor lift. 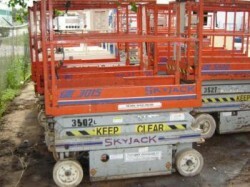 The narrow Skyjack 3219 Scissor Lift, measuring 32 inches wide, is a powerful yet compact lift for tight working spaces. 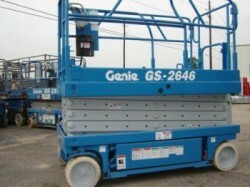 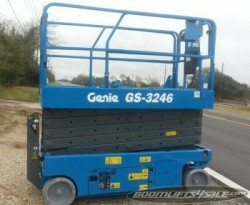 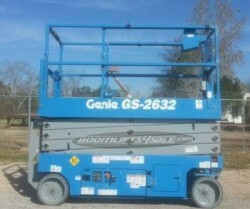 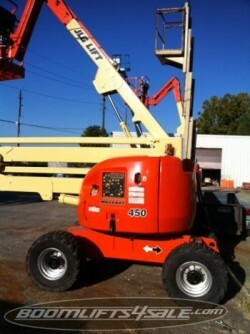 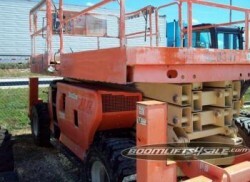 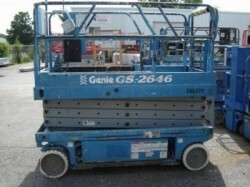 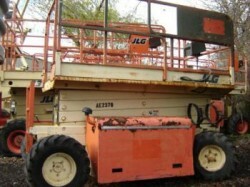 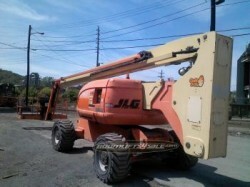 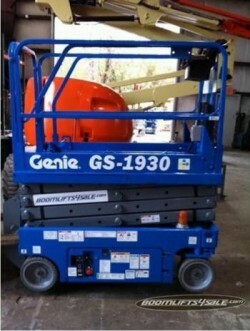 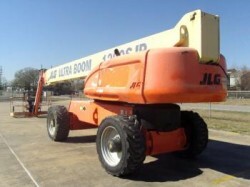 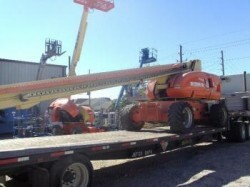 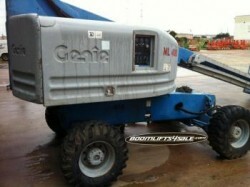 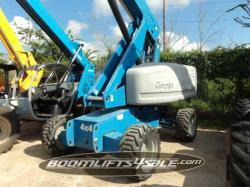 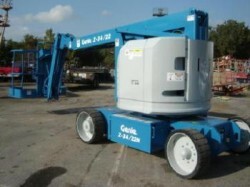 It has a working height of 25 feet and a 550 lb lift capacity. 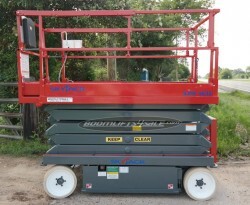 Driveable at full height, the Skyjack 3219 has variable speed, front two wheel hydraulic drive, proportional controls, an analog control system, and 25 percent gradeability. 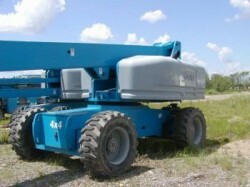 Other features include a color coded and numbered wiring system and non-marking tires. 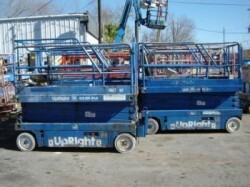 Besides the 3219, we have the following vehicles available in new, used and refurbished models: 3220, 3226, 4626, and 4632.